It is a given that one cannot obtain any objective information about the activities of prominent Chinese, including the country's PEPs, due to the total and complete censorship and control that China maintains over its domestic media. If you, as a compliance officer, were requested to conduct an accurate and complete due diligence investigation of a Chinese PEP for account opening purpose, Internet news, and postings, would not tell you whether the individual is corrupt, or has a history of acts in office that would cause you to recommend that they not be served as a client. So, what are you to do ? Buried in a recent article about Hong Kong is the answer: when mainland Chinese wish to lean the dirt about their public servants, they journey to Hong Kong, where freedom of the press remains relatively intact, due the former British Territory's degree of autonomy, and pick up magazine and books published there, and overseas, in Chinese, that detail the many sins of the country's corrupt PEPs. Reportedly, many Chinese attempt to smuggle those extremely damaging works home, when they return. 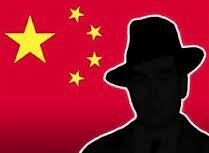 (1) To determine whether a specific prospective Chinese client is a Politically Exposed Person (PEP). (2) To determine whether the individual, or his entities, have been the subject of negative information, in Hong media, or book published outside China, and exactly what that information is. (3) To confirm that Chinese clients are not, in truth and in fact, actually military or government staff, who are concealing their true occupations or professions. It is strongly suggested that, should the business support it, you engage an individual, inside your Compliance department, with the appropriate linguistic skill, to review the material you receive, for accuracy and relevancy. China is a black hole for the negative information that you must have to judge the suitability of these potential clients, and you now have an avenue for your enquiries.